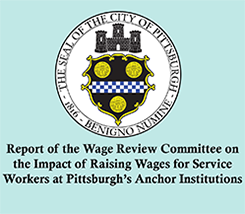 Pittsburgh needs UPMC – the city’s largest employer, healthcare provider and landowner – to use its power and wealth to create a better future for our city. That’s why we’re all coming together to demand UPMC help build and strengthen our middle class instead of holding our families and economy back. 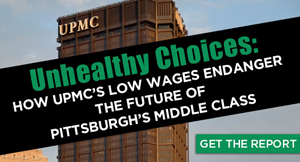 Add your voice today – Sign our petition and call on UPMC to create good jobs for a healthy Pittsburgh! Want to get involved with the action on March 3rd? Attend one of the trainings below to learn how. What: General Information on the days of change. What to expect. Where to go and what to bring and do While you’re there. Come one and all. What: A day of action will require lots of signs, banners, and other items for the day. Handy with a marker? Like to draw posters? This is the perfect way to help us build up our event on March 3rd!